This sauce never ceases to amaze me. 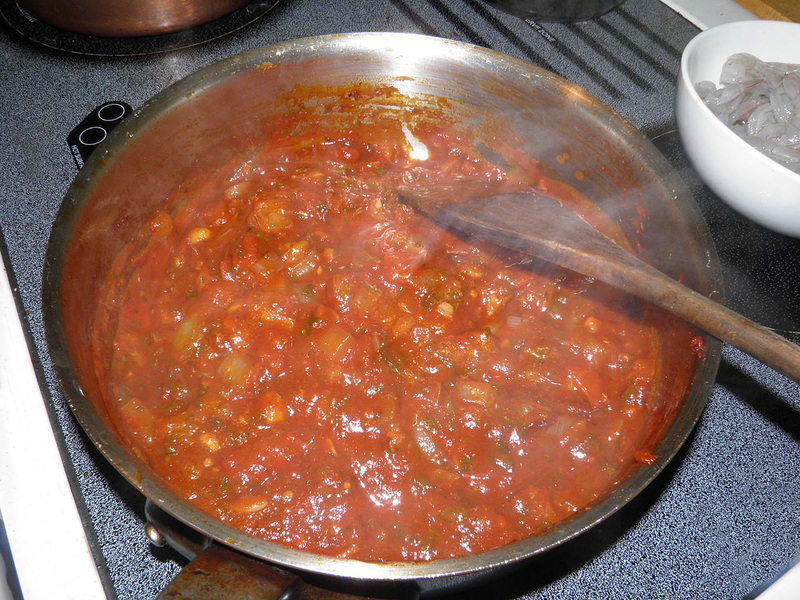 It's one of the simplest to put together and delivers taste quite unlike any other sauce. It's name? 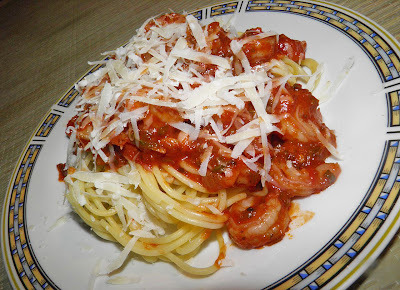 Fra Diavolo (in English, Brother Devil). Slow simmering brings out the best in the few ingredients. This recipe may have an Italian name but from what I have read it is an American creation rarely seen in Italy. Interestingly some famous Italian-American chefs have this recipe in their repertoire – ones that I would have thought stayed closer to their traditional roots. No matter. It’s still delicious. 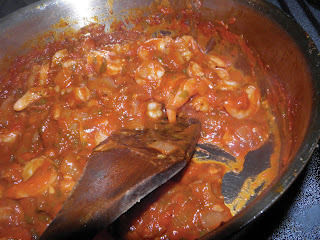 I have served variations of this sauce with shrimp, scallops, lobster, squid, clams and mussels. All at the same time, too. My two favourites are lobster fra diavolo and shrimp/scallop fra diavolo. There’s something about the richness in those particular ingredients that marry unbelievably well with the spicy sauce. goes extremely well with this dish. 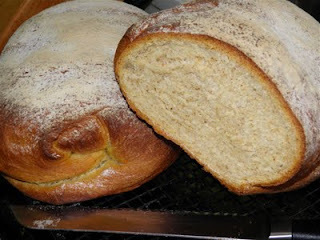 I remember one time (decades ago) when we had pugliese bread in the oven, this sauce on the stove, company coming and 3 feet of snow coming down outside. We had a wonderful evening. This recipe (I do have others for it) uses two rather non-standard ingredients, jalapeno pepper and oregano. 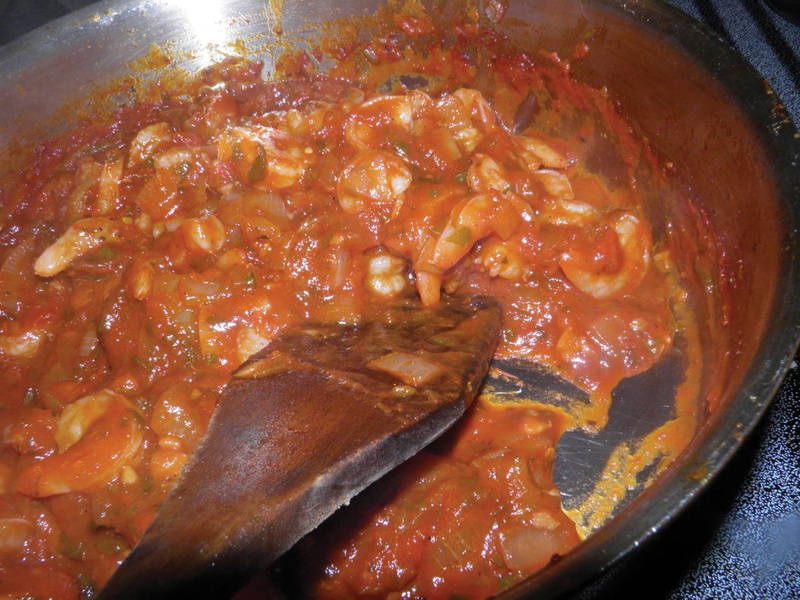 It is far more common to find red chilli flakes and basil in a fra diavolo. The changes were more than acceptable. This dish, if spiced properly, imparts a slight warmth and slight warmth only. Remember you still want to taste the seafood. My directions include 1 large jalapeno, and also some cayenne. Use the cayenne to fine-tune the heat, if you so desire. That way you can have delicate heat, or blistering – your choice. If you like spicy food this recipe should make it in to your recipe rotation. It’s delicious. end of the cook time. Heat the oil in a large sauté pan. Sauté the onion, garlic and jalapeno for about 5 minutes. Then add the red wine, tomato sauce and chopped tomatoes. Simmer for 25-30 minutes, stirring to prevent sticking. The sauce will be quite thick and chunky. At the end of the 25-30 min time add the seafood and cook just until done. This should take about 4-5 minutes. Taste for salt and pepper and adjust. Serve the sauce on top of the pasta, sprinkled with parmesan cheese to taste. If you like this post retweet it using the link at top right, or share it using any of the links below. Questions? Comments? Derogatory remarks?